A group of best selling authors come together to write a funny, uplifting, emotion filled book of four novellas in A Season to Celebrate. These stories run the gamut of four couples who unexpectedly find love during the holiday season. Fern Michaels' story, A Christmas Homecoming, follows a returning Air Force PJ who hasn't been home for Christmas in 6 years and the newly arrived pediatric orthopedic doctor who's moved to town with her little girl to start her career. They cross paths at church and the misunderstandings start from there. Will they come together for the holiday season with a little matchmaking from his mom? A Season to Celebrate will have you laughing, crying, and feeling festive this holiday season as four couples unexpectedly find the loves of their lives. Only these authors can have you showing such a range of emotion. I'd love to read more holiday stories by these authors. Former Air Force Pararescueman Kevin Matthews is back home in Texas, working at his family�s Christmas tree farm while deciding his next move. Or maybe he won�t move at all, if sparks keep flying with the town�s new surgeon, Kate Stafford . . .
Widower Billy Morgan wishes his grown children still needed him. Good thing his longtime friend, Bella, does. She�s planning her son�s Christmas wedding and Billy is happy to help. Along the way they just might discover their own occasion to celebrate . . .
Attorney Moira Brogan expects her brother�s Christmas wedding to be a peaceful affair. She doesn�t expect to be cornered by an unwanted lothario, rescued by a gorgeous Aussie chef�or be swept off her feet by said chef. Nursing a broken heart, the last thing she wants is a new romance. But Hudson Walker has other ideas . . . Event planner Julia Louisa Fernandez dreams of a life in Chicago. But her family in Puerto Rico expects her to take over the catering business. Former pro baseball player Ben Thomas knows what that�s like�and when they meet, he might be the one to inspire a winning strategy, just in time for the holidays . 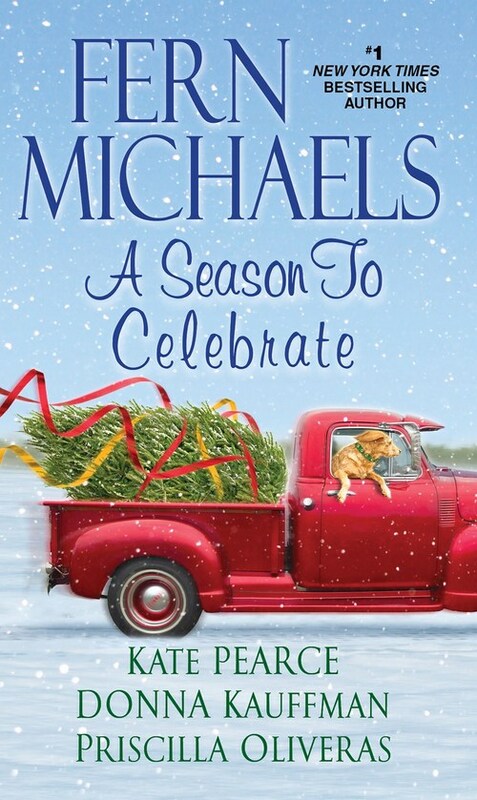 . .
Re: Four beloved authors share fun novellas in a festive holiday collection! What a lovely assortment of tropes! Wonderful review.